Concluding our three-part blog series What You Should Know about Spousal Support in Colorado Divorce, below we will wrap up our discussion regarding some of the most important facts to know regarding alimony in Colorado divorce. Fact 5 – Modifications to spousal support in Colorado divorce can be made by officially petitioning the court. When it comes to spousal support in Colorado divorce, the most important thing to know is that you can trust Bahr and Kreidle to help you obtain favorable rulings and resolve your divorce as favorably as possible. Just because the court issues a ruling regarding spousal support in Colorado divorce does NOT necessarily mean this is the last word in the case. In fact, after the final divorce decree has been issued, either party in the divorce may petition the court to get the amount (or duration) of these payments modified. One or both parties have lost their jobs. One party may have developed some illness or impairment that makes him or her unable to make spousal support payments on an ongoing basis. Some of the aspect of either individual’s financial life has changed, necessitating a change to the amount and/or duration of spousal support payments. Here, it’s also crucial to note that people MUST go through the courts to get spousal support modifications made; in other words, they can’t simply decide that they want to undercut or stop these payments without an official court order (otherwise they can face some potentially serious penalties). Fact 6 – You can rely on Bahr and Kreidle to help you with any issues related to spousal support in Colorado divorce. The bottom line is that getting and modifying spousal support in Colorado divorce can be a complicated process and that you can rest assured that your best interests are being protected when you trust Bahr and Kreidle to oversee your divorce case. At Bahr and Kreidle, our Littleton divorce lawyers have extensive experience resolving even the most complicated issues regarding spousal support in Colorado divorce. This means that you can trust us to help you win favorable court rulings regarding this – and every other – aspect of your divorce case. Will spousal support be an issue in your impending divorce? Or do you need help making a modification to spousal support awarded in your finalized divorce? If so, you can turn to the trusted Littleton divorce lawyers at Barh & Kreidle. Since 1983, our attorneys have been helping our clients get through the divorce process as favorably and efficiently as possible. 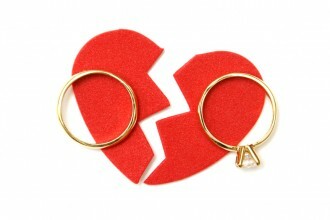 Our lawyers know how serious and devastating the impacts of divorce can be. That’s why we are committed to being here to advocate our clients’ rights and interests throughout the divorce process.